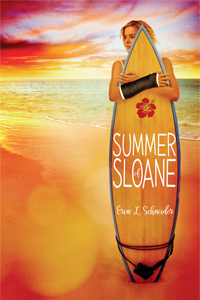 SUMMER OF SLOANE by Erin L. Schneider! This book pulls no punches (ha!) and I felt each and every one of them. As someone who has dealt with something fairly similar, I felt for Sloane. I think everyone can relate to feeling betrayed by someone they call their best friend and give much more than they get out of a friendship and have to learn to walk away. This book not only tells you that it is okay to do something for yourself for once, but also gives you insight into the self-doubt you will have and the pain you will feel when you think "oh I have to tell X about this" before you realize that you shouldn't do that anymore for the good of your health. The pacing and the story line were all so wonderful. The story starts off with Sloane learning about the betrayal and she is lucky -- she gets a reprieve to go visit her mother. However, it's not quite the reprieve she was looking for. And the story takes off from there. I loved reading about Sloane's adventures with Finn and just generally kicking back and relaxing. I think the was pretty realistic and I loved the scene where she gets her tattoo. Sloane was a wonderful character and I felt for her, especially her inner struggle of whether or not to forgive her boyfriend and her best friend. I think the best parts of the novel were when she had the subconscious moments of wanting to tell them about something before remembering why she didn't want to talk to them. Schneider's writing made it feel like I was right in Sloane's head. When she was trying to determine whether or not to read the messages she got from her betrayers were some of the best written passages I've read in a long time. I really liked Finn. I liked that he gave Sloane her space to heal while also trying to find a place in her life. I think this was really important. It was also refreshing that while he had a pretty crappy home life, he didn't try to play it off as being "cool" or "mysterious" and told Sloane straight up that things weren't peachy for him. I am so for honesty and I loved that Finn was fairly open with Sloane about this. All the other characters were really well developed and felt as though they were distinct. They also had their own story arcs which was really nice and they weren't just a sounding board for Sloane to advance the plot. They had their own concerns, own worries, own struggles, and I think that is something you don't always see in novels. I loved every second of my reading. I sat down to read this one and didn't get back up until I finished it (a total of maybe 3 hours). It's a great beach read but it also tackles some pretty big issues so don't take this one too lightheartedly. Erin L. Schneider is native to the Pacific Northwest, attended college in Honolulu - and although Hawaiian - should never be allowed on a surfboard. 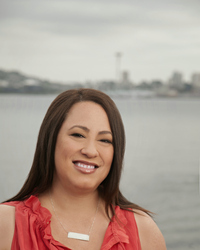 With more than twenty years in corporate merchandising, she's now a full-time writer living in Seattle with her husband, Neal; their baby boy, Kellan; a rowdy German Shepherd named Ronin; and two crazy cats, Ono and Poke. 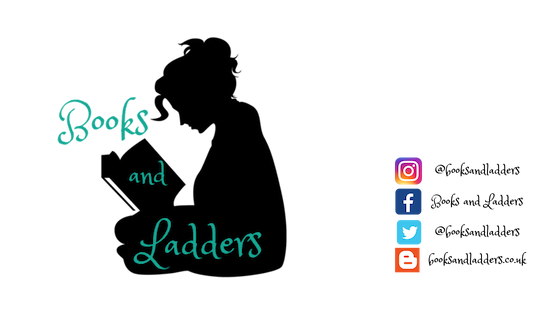 She's a member of both the Pacific Northwest Writers Association and SCBWI, and is also co-founder of the YA Buccaneers. SUMMER OF SLOANE is her debut novel, out May 3, 2016 from Disney-Hyperion. Visit Erin online at Erin L. Schneider or on Twitter: @ErinLSchneider1. The book sounds really good. I first saw it online with the voting contest they had going on. But every time I hear more about it, I get even more excited for the book. I REALLY liked it! I hope you pick it up soon and give it a chance <3 <3 <3 And then tell me all your thoughts on it!!! FIVE STARS WOOT WOOT! :D Yaaaaaaay for this!